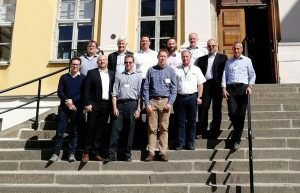 The objective of ETN’s Additive Manufacturing Working Group is to strengthen the cooperation between stakeholders of the turbomachinery value chain on additive manufacturing (AM) topics. Members of the Working Group benefit from cooperating on AM practices and exchanging knowledge and experiences on the added value that AM could generate, such as short delivery time, efficiency increase by optimised design and delivery of obsolete or “urgent” parts to shorten maintenance outages and overhauls. The current activities include AM equipment and process database, product quality and control, and R&D roadmaps. One of the outcomes of the AM WG meeting in October 2018 was a decision to draft a booklet on additive manufacturing defects. The booklet “Best practices for defects detec­tion in additively manufactured components in the energy sector” is now available for ETN members (login required). 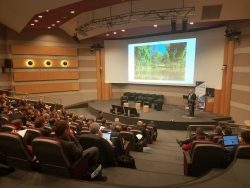 27/03/19 | Annual General Meeting and Workshop 2019ETN’s Annual General Meeting & Workshop will be held on 27-28 March 2019 in Pau, France... Read more. 12/10/18 | Additive Manufacturing WG Meeting – 12 October 2018ETN’s next Additive Manufacturing WG meeting will be held on 12 October 2018 in Brussels, Belgium. 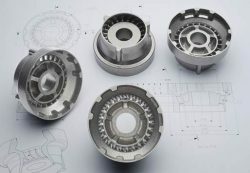 Attendees of this meeting will discuss the topics of interest in the AM WG: AM equipment and process AM product quality and control AM Roadmap.... Read more.